Natural adhesive proteins secreted by marine mussels may replace sutures in surgery. Sutures, made from sheep intestines, are used to repair tissues in a surgery. Sutures can cause infection and inflammation. Synthetic adhesives are also used to repair tissues but they are not biodegradable and damage the tissues. 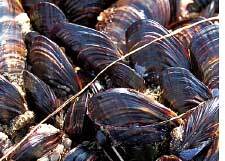 The researchers found the mussel proteins to be much better, non-toxic and biodegradable adhesives. Mussels secrete these proteins for attachment to underwater surfaces. The mussel proteins can also be made into a solution and applied using inkjet printer technology to create customized medical adhesives which could have a host of applications, said the researchers. The study was published in the April issue of The Journal of Biomedical Materials Research B. Feeling foggy and forgetful after a few sleepless nights? Didn't the elders advise to catch up on a good sleep? A team of scientists has identified a key molecular mechanism that regulates the brain's ability to mentally compensate for sleep deprivation. Working with mice, they found that a molecule in the brain cell, called adenosine receptor, helps sleep-deprived animals to attain the adequate level of slow-wave activity in the brain once the animal resumes normal sleep. This increase in slow-wave activity during rebound sleep helps restore normal memory and attention skills to the sleep-deprived, the scientists reported in the February 4 issue of the Journal of Neuroscience. Some deep-sea coral communities are more ancient than was previously known. A team used the radiocarbon dating method to determine the age of two proteinaceous coral communities Gerardia (gold coral) and Leiopathes (black coral) species. The colonies of the Gerardia sp were 2,742 years and the Leiopathes sp, 4,265 years old, reported the study that was published in the March 23 online edition of Proceedings of the National Academy of Sciences. The annual growth was found to be less than a metre. 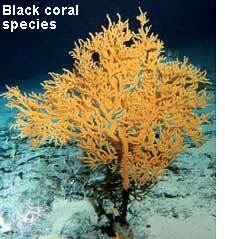 This proved that the corals grew very slowly over a long period of time. Corals are hotspots of marine biodiversity. 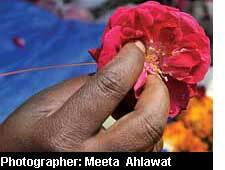 They are dying due to destructive fishing practices, global warming and their commercial use in the ornament trade. In the light of the new find, better understanding of the coral ecology is needed to improve its conservation programmes. The West Antarctica Ice Sheet (wais) is predicted to collapse in the next 1,000 years, due to global warming. A pair of research teams studied sediment samples reaching 600m below the surface of the ice sheet and used computer models to simulate the Antarctic ice sheet variations. They found that the area has been going through a cycle of "catastrophic collapse" and reformation for the past five million years. A catastrophic collapse of the current cycle, hastened by global warming, is imminent, said the study. 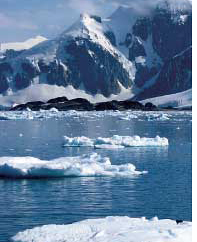 The event is expected to boost a sea level rise by 5m, said the study published in the March 19 issue of Nature. Forests retain nitrogen depending on the kind of trees they have. A research focused on nitrogen cycling in the Catskill forest preserve, US, and found that forests dominated by the sugar maple trees were susceptible to nitrogen loss due to leaching. Forests with an abundance of red oak and hemlock trees were better at retaining nitrogen. Nitrogen is converted into nitrates, the form usable by trees, by microbes. The difference is because the microbes under the different tree species vary considerably in their production of nitrates, the study explained. More research is required on why this happens but the study is important because it highlights the plant species to be grown for nitrogen retention in forests. The study was published in the March-April issue of the Soil Science Society of America. For years biologists have believed that attractants secreted by the ovule, located at the base of a flower's stigma, attract the pollen tube towards it. A team of scientists has found that synergids (sterile cells found on either side of the egg cell) are the ones that release the chemicals to attract the pollen tube. They isolated the synergids of the plant Torenia fournieri and found them to secrete protein-containing compounds called lures which guided the pollen tube. When certain organic molecules were introduced to inhibit the function of the lures, the growth of the pollen tube was impaired, proving that synergids help the plant achieve the most important step prior to fertilization. The study was reported in the March 19 issue of Nature.